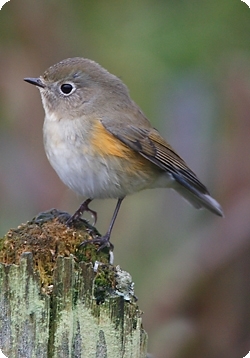 A red-flanked bluetail has been seen in Comox from December 22 - 31. The Nanaimo Christmas Bird Count is on December 30, and we have the bird feeder count data sheets available in store. The Parksville/Qualicum Beach bird walk went to the Shelley Road side of the Englishman Estuary. Road conditions limited participation, trails were slippery, tide was very high and wild rose and blackberry bushes had collapsed over portions of the trail, resulting in more bushwhacking than expected. A quiet day, but sunny and warm. 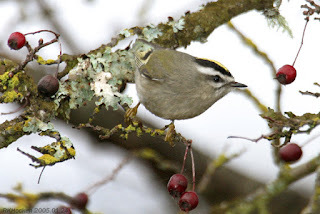 We had great views of Golden-crowned Kinglets and Pacific Wren feeding on the trail in front of us. Conspicuous in their absence were Canada Goose, Great Blue Heron and Steller’s Jay. The Tuesday bird walk on January 3, 2017 will be going to Columbia Beach near French Creek. Meet at the Parksville Community Park at the parking lot near the Lions Club Kids Playground at 9:00am or at the parking lot on Admiral Tyron Blvd at about 9:10am. The Sunday bird walk is taking a vacation and will resume on January 8 2017. Happy holidays everyone! 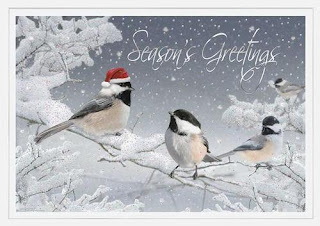 Our Sunday bird walks are taking a holiday break from December 11 2016 until January 8 2017. The Tuesday bird walks are continuing over the holidays and Sunday December 13 they will be going to the Plummer Rd. side of the Englishman River Estuary. Happy holidays from us at The Backyard Wildbird and Nature Store! The Sunday bird walk went to the Shelley Rd. side of the Englishman River estuary in Parksville. The weather was a nice, cool, winter morning with lots of wind resulting in some crazy waves. We were able to see some great views of some Brant as they flew out of the estuary. A Swainson’s thrush was spotted north of Nile’s Creek. Due to the cold weather a birder reported seeing seven Anna’s Hummingbirds at their hummingbird feeder in the morning at Fairbanks Rd. The Parksville/Qualicum Beach bird walk was to go to Rathtrevor Beach Provincial Park. Unfortunately, due to the snowfall causing tree damage and possible danger to visitors the park was closed. We therefore headed over to Plummer Road. It was a brisk, snow covered morning with several sunny breaks. 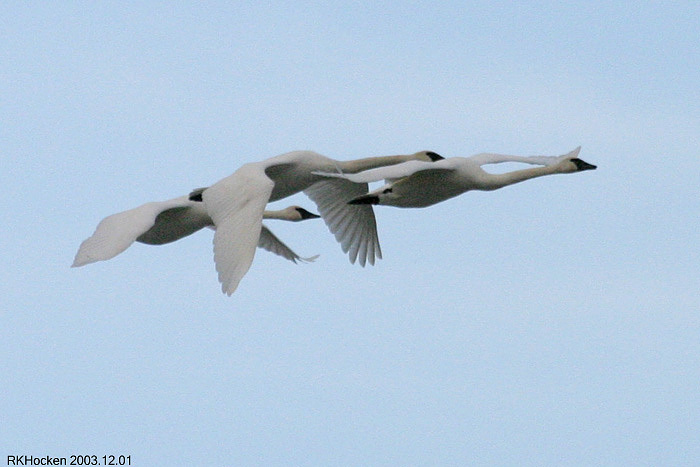 We saw two flocks of Snow Geese fly over and spotted 4 Trumpeter Swans in the estuary. We had great views of a Cooper’s Hawk perched high on a branch at the start of our walk, and we also got our first of the season view of several Varied Thrush. 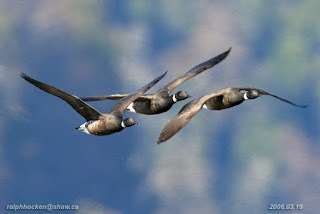 Once we were on the ocean side we viewed hundreds of Ancient Murrelet’s flying low over the water. The Tuesday bird walk on December 13, 2016 will be returning to Rathtrevor Beach Provincial Park in Parksville. Meet at the Parksville Community Park at the parking lot near the Lions Club Kids Playground at 9:00 a.m. or at the main parking lot at Rathtrevor Park at about 9:10 a.m. The Sunday bird walk will resume in January. Happy holidays everyone! This Sunday’s Bird Walk went to Buttertubs Marsh in Nanaimo. The morning’s weather was cool, overcast and a couple of small showers. It was very quiet at the start, very few ducks on the marsh. 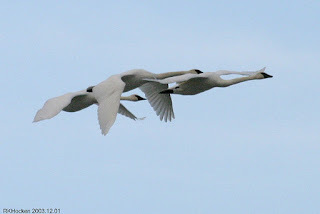 A couple of the highlights were seeing the Virgina Rail seen by the tall viewing stand and the 6 Trumpeter Swans that flew over. The parking lot bird seen at the end of the walk were a few Golden-crowned Kinglets passing through. NORTHERN SHRIKE was seen in a backyard near the 2500 block of Glenayr drive, Nanaimo. 2 – STELLER’S JAYS were seen on Summit drive, near Long Lake in Nanaimo. 4 - STELLER’S JAYS were also reported at end of Douglas Avenue, near the Chase River. MOUNTAIN BLUEBIRD was seen again at Pipers Lagoon. It was seen between the parking lot and the fort on the lagoon side. ROCK WREN was also seen at Pipers Lagoon further up the trail from the Mountain Bluebird. Immature NORTHERN SHRIKE was seen at Buttertubs Marsh. The Tuesday bird walk went to Rathtrevor Beach Provincial Park in Parksville. The morning was cloudy with rain showers and a very strong wind blasting off the Strait of Georgia. We had several good views of Pacific Wrens in the underbrush near the trails throughout the morning. A Brown Creeper caught our attention as it crept up a conifer tree. We watched Golden-crowned Kinglets and Ruby-crowned Kinglets were feeding close to the ground during the morning. 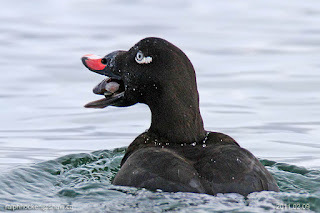 A flock of Surf Scoters, a White-winged Scoter, Black Scoter and a Long-tailed Duck were seen heading down the Strait. A flock of Black Turnstones flew low over the stormy water heading towards the shore. The Tuesday bird walk on December 6, 2016 will be going to Rathtrevor Beach Provincial Park in Parksville. Meet at the Parksville Community Park at the parking lot near the Lions Club Kids Playground at 9:00 a.m. or at the main parking lot at Rathtrevor Park at about 9:10 a.m. 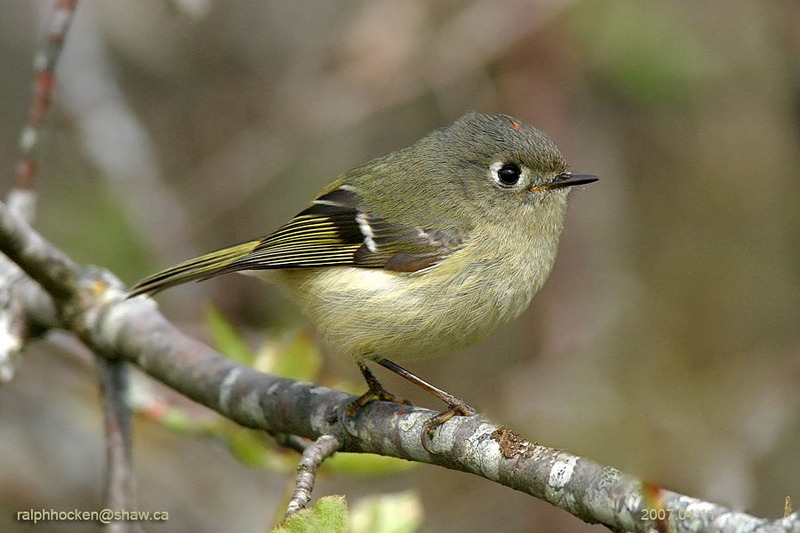 The Sunday bird walk on December 4, 2016 will be going to the Shelly road side of the Englishman River Estuary in Parksville. 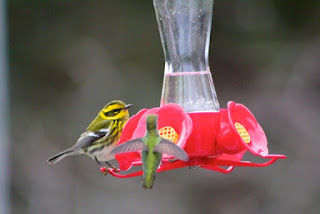 Meet at the Birdstore at 9:00 a.m. or at the end of Shelly road at about 9:20 a.m.